Have you been searching for high-quality dental care for you or your family? Is it important to you to find a dentist skilled in cosmetic, sedation, and emergency dental care? 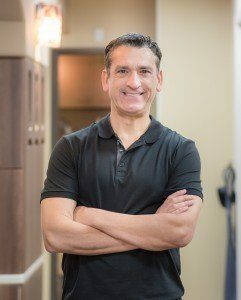 Our highly skilled Hillcrest dentist, Dr. Marcus Ortega, loves to care for our patients. Our practice is dedicated to helping patients in the Hillcrest area realize their goals of having a healthy and beautiful smile. Dr. Marcus Ortega and our practice strive to give patients the healthy, beautiful smile they deserve. Look no further for a talented, patient-focused dentist in Hillcrest. Call our office today to set up an appointment! You can also text us or contact us using the form on this page. We look forward to helping you with all of your dental needs; from basic maintenance of oral health to achieving the smile you’ve always wanted!